Federation of Armenia and Ministry of Emergency Situations of the Republic of Armenia, as for the technological part, we are collaborating with our partners from France and Austria. We have some ideas concerning new projects for the realization of which we need serious investments. We will be happy to work with new partners and we are open to any kind of cooperation. 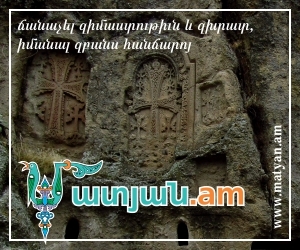 Tigran Chibukhchyan also added, that on the 6th of August an event will be held dedicated to the first anniversary of "Yell Extreme Park" project. During the event an announcement will be made about a new project. The goal of "Yell Extreme only for mass media" extreme tour was to acquaint mass media representatives with the adventure and extreme tourism peculiarities in Armenia, to present opportunities of the unique extreme zone, promote transformation of ideas about extreme sports, healthy lifestyle, organization of community life in public understanding, support creation of relevant platforms for cooperation between mass media representatives and "Yell Extreme Park" project. "Yell Extreme Park" project was founded in 2015 in Yenokavan community of Tavush region of the RA, which is considered to be the most relevant zone for its climatic conditions, geographical position and relief features. The goal of the project is to develop adventure and extreme tourism in Armenia, to become a great center of extreme tourism in the region, to create new jobs in the border areas, to activate public life and promote healthy lifestyle. Lovers of adventure holidays already have an opportunity to have a wonderful time in "Yell Extreme Park" choosing the following types of extreme sport and adventure holidays: Zip Line, Paragliding, Rope Park, Off-road, Mountain Biking, Paintball, Horseback Riding, intellectual and logic games (Rest Area/ Board Games). Zip Line. The first one in "Yell Extreme Park" is "Zip line", which enables extreme sport lovers to get from one place to another with the help of the cable and their own power of gravity. "Yell Extreme Park" offers 5 lines, the length of each is 135m, 200m, 268m, 375 m and 750m, the height is 200-300m. The flight from the all lines together takes approximately 1.5 hour. A flight lasts from 30 seconds up to 2 minutes. A 15-minute training on safety rules is held before the flight. In order to move from one line to another one should walk 5-20 minutes. Off-road is a type of adventure holiday, which includes overcoming various obstacles, difficulties and barriers in off-road vehicles; this is a driving on bumpy roads, made of materials such as sand, riverbeds, rocks and mud. Mountain Biking is an off-road cycling, especially on mountain trails. This type of sport, unlike urban cycling, is rather difficult. Paintball is a team game, during which participants use markers, shoot each other with paintballs, which break upon impact. Participants wear special form designed for paintball. Horseback Riding can last from 20 minutes up to 7 days and it's conducted in nearby fields and forests, and participants usually spend nights in tents (in case of tours lasting a few days). Rest Area/ Board Games is an area, where one can play such interesting games as "In other way", "Monopoly", chess and etc.